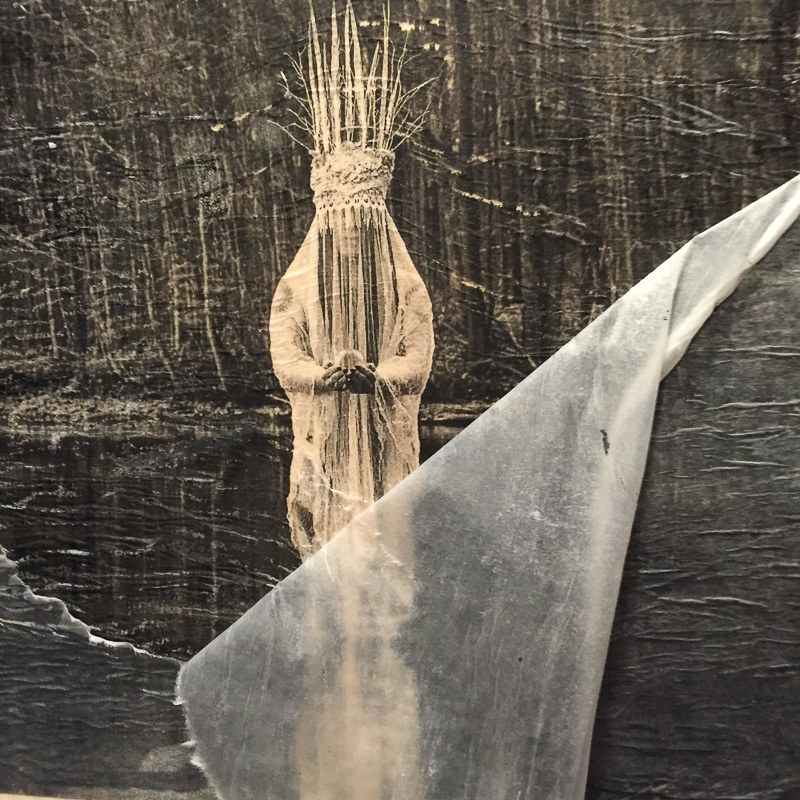 There have been hundreds of articles posted across many years about how to transfer photos to wood and other surface substrates. It’s a somewhat time consuming, labor intensive process, particularly when it comes time to rub the paper off. Even when using thin copier paper, it takes me around 40 minutes of rubbing to get all the paper fibers removed. Attempting anything larger than 8.5×11 would be torturous. I decided to do some experimentation and discovered (maybe?) a new method that cuts the drying time to about 2.5 hours and makes removal of the paper a breeze. What is this miracle solution to all the grief? Tracing paper! Tracing paper is dangerously thin. You cannot feed a sheet through a laser printer or it will wrinkle or worse, tear, and jam in your printer. Our goal here is to eliminate frustration and increase productivity, right? So let’s get started! 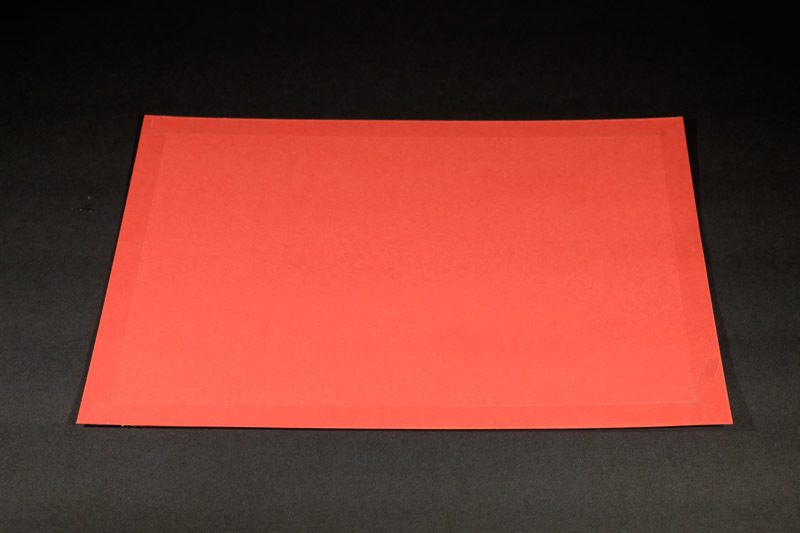 Attach pieces of double-sided tape to the corners and sides of the cardstock. If your printer is a little rough on the manual input, make a ring of tape. 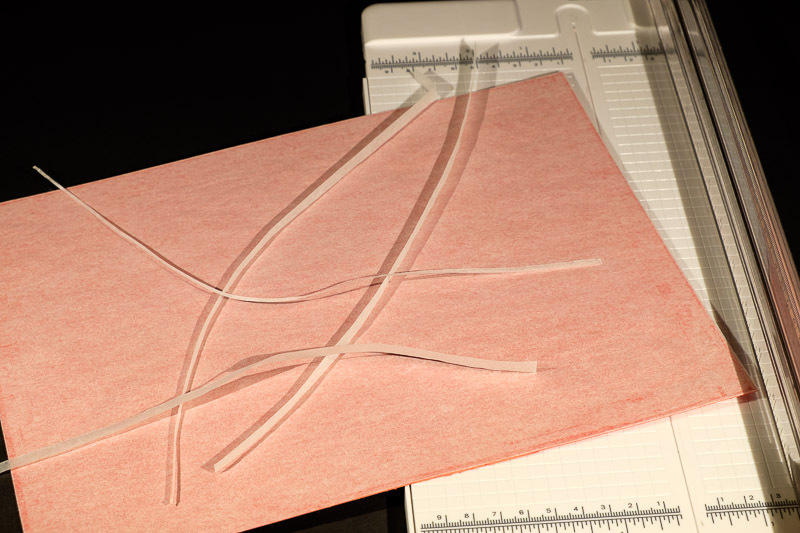 Starting with one edge of the tracing paper, carefully place it on top of the cardstock ensuring it’s flat and even. If it is not, this will yield wrinkles in the printed output. The tracing paper is 9×12 and you’re affixing it to 8.5×11 cardstock, so you don’t necessarily have to line up the corners because we’re going to trim it. Your main goal here is to make sure it completely covers the cardstock and is completely flat after being attached. 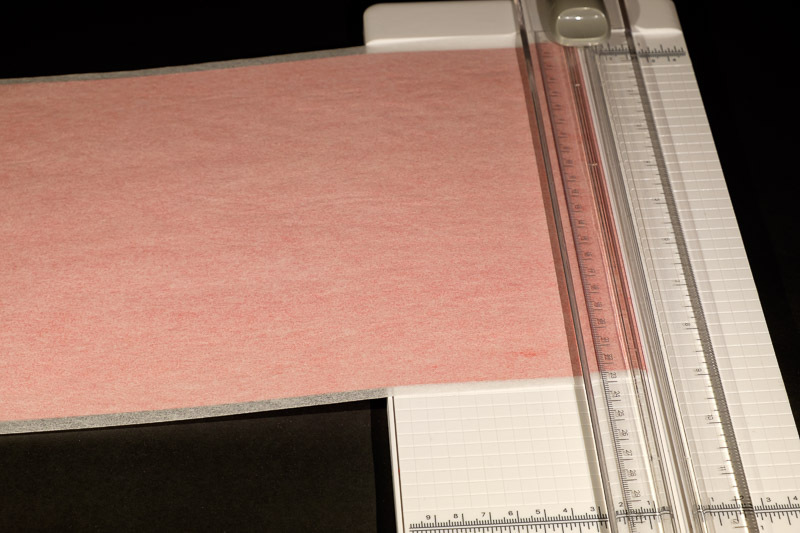 Next, use a paper trimmer or scissors to trim the tracing paper to match the 8.5×11 sheet of cardstock. Et voilà! 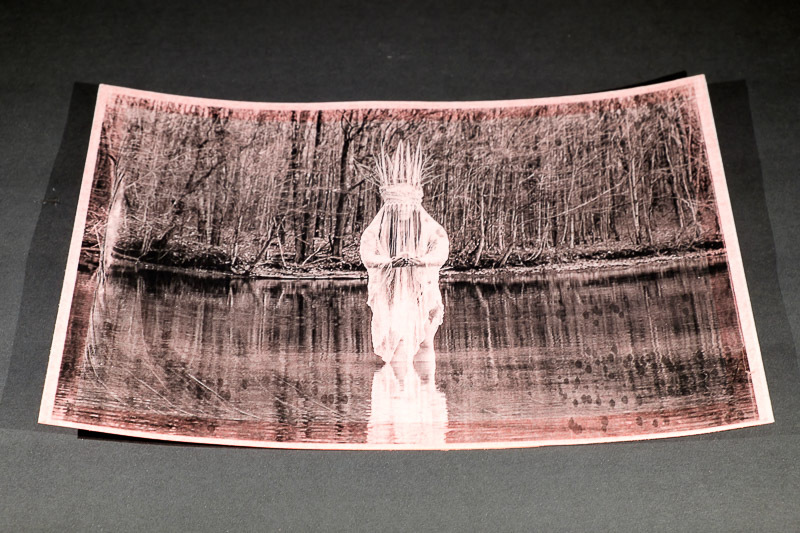 You now have an 8.5×11 sheet of tracing paper that can be fed through a laser printer. Insert your frankenpaper in to the manual feed slot of your printer. Be sure you’re inserting it so that the tracing paper is the printed side. Before clicking the print button, open the settings and make sure you’re printing at the highest resolution. If your goal is to fill the page as much as possible, consider setting margins to zero or scale your print to fill the page. 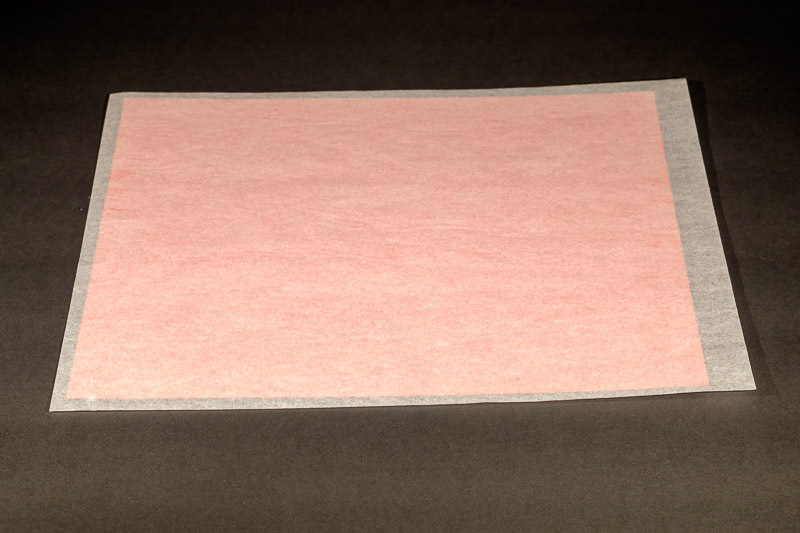 Once printed, remove the cardstock backing from your tracing paper. Go slowly. They will separate easily, but you have to go slowly or you’ll tear the tracing paper as the tape is being removed. I use Plaid’s Mod Podge Matte. I’ve tried different types of gesso, glue/water mixes, etc. but Mod Podge just works right out of the bottle and is the perfect use for those 40-50% off any non-sale item coupons continually available from your favorite big box craft store. Mod Podge is never on sale. Hurray! Apply a very thin layer. You’re going to smooth out the tracing paper after and any excess applied will be wasted and make a mess when it oozes out from between your tracing paper and the surface. Do this slowly and smooth the image out as you go. The tracing paper will quickly absorb water from the Mod Podge and can wrinkle easily. 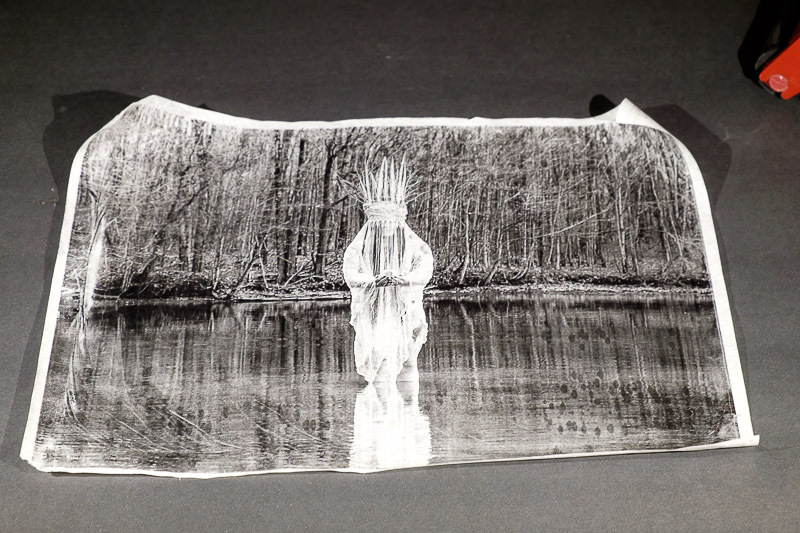 If the tracing paper wrinkles, you’ll see that in the final output. If you attempt to smooth them out, they will become creases which will yield a grained look in the final output. I actually like this on wood transfers, but it’s subjective. This can take as little as two hours, but I’ve never let it go longer than 3 in my testing. The thinness of the paper helps it dry faster, so forget all those other tutorials that say 8 hours. Wet the top of your surface. I don’t let wet towels soak on top of it or use a mister, I open the faucet and let lukewarm water run on top until it’s saturated. Let it sit for a minute. This is where the magic happens. Beginning in a top corner, use your thumb and start rubbing the paper downwards. Once it begins to release, keep doing that across the edge and the paper will just roll right off. If any remaining bits of fiber remain, wet them and rub them off. For an 8.5×11, this takes about 5 minutes instead of 45. Thanks, Andrea! I was seriously pondering buying a stool so I could sit in front of the sink until I thought… thinner paper! Have you ever heard a method of doing this so the result is on stretched canvas? Like those little 4×4 ones? I have just about every type of gesso and mod podge and want to try it. Btw I too have a KNK force – appreciated your UTube vid. I’m keeping mine sealed up intolerant I made the cross country move. I have a KNK zing too which I need to d/l that program to run on a Mac. Let the “Force” be with you! Yes! Open Studio Day!! Come to my attic! Did you apply the Mod Podge to the back o the print? Or to the front and it soaks through and sticks to the substrate yo u are applying to? I apply the Mod Podge to the wood, then place the dry paper on the wet surface, even when I’m using copier paper. I find it easier to position the paper when it’s light and dry.